Beaming Baby Certified Organic Bubble Bath contains over 70% organic ingredients and is certified by the UK Organic Food Federation. Your baby is free from: Alcohol, paraben preservatives, sodium laureth sulphate, synthetic perfume and colouring. 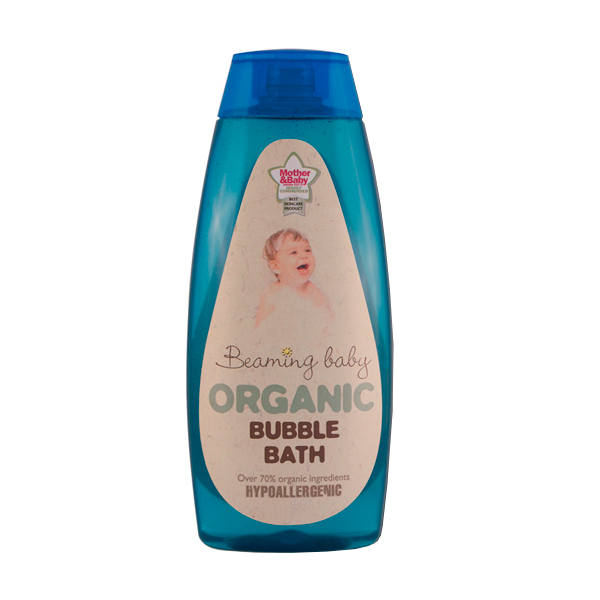 This certified organic baby bubble bath is package in a 100% recycled plastic bottle. The highest quality ingredients means it is incredibly soft and gentle on baby's skin. The hydrating Organic Aloe Vera and skin nourishing natural orange blossom is so soothing and calming to baby. Avoid expose the bubble bath directly to the sunlight.